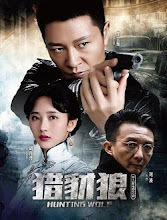 The Nationalist Party launches a covert operation to disrupt the peace and order which moves Guo Lian Jian into action as he leads a team of investigators to put a stop to the plan. On May 27, 1948 during a flourishing economy, the vibrant city of Pu Jiang is liberated and the citizens unite under the leadership of the new government. However, Nationalist supporters who remain in the background formulate a plan of their own. They send two spies with the codename Jackal and Wolf to infiltrate Pu Jiang with a mission to create chaos and exploit the weaknesses in the new government. Guo Liang Jian (Li Zong Han) receives an order to take over a fallen comrade's mission to infiltrate the enemy camp in order to gather information on Operation Wolf. He engages in a fierce battle of wits with his opponents for the sake of his country. Guo Liang Jian visits his mother and Hu Zhi Yun's grave to tell them that he has succeeded in taking revenge. Li Yu Hua visits Li Yu Cheng in prison and discovers that he has become a changed man and truly repents for his wrongdoings. Upon leaving, she runs into Guo Jian liang and smiles at the sight of him. Guo Liang Jian promises to take care of Li Yu Hua. On the day that the new China was established, Guo Jian LIang and Du Xue Ying listen to Chairman Mao over the radio, their expressions firm and resolute. As Guo Jian Liang walks on the streets and watches the carefree civilians, his face starts to flash a smile. It is produced by Beijing Media Ltd.
Let us know why you like Hunting Wolf in the comments section. Please also share these fun facts using the social media buttons below.